I started stamping about 5 years ago. 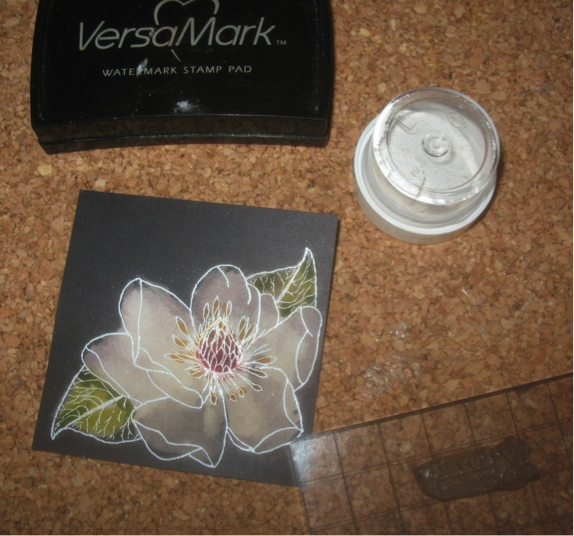 I was invited to a stamping party at my daughter’s house and got hooked! My favorite technique right now is bleach stamping. I like yellow and green. I like the stamps of people and animals. Right now I use some stamps from Mark’s Finest Papers a Heinrich Co called Asian Delights and Big Cats. I love that tiger! I swore I wouldn’t get a crimper. I even made fun of my daughter for buying one. But you know what? I traded for one and it is the best darn thing since sliced bread! I can’t live without my cutter. I am very thrifty minded. If I can get it used or very cheap, then I buy something. Not with my cutter. I bought that sucker full price and don’t regret it at all. It’s a 12” x 12” Tonic guillotine. Get a group of friends together, (church, lodge, family, etc) who all craft. Hold a monthly Craft Supply Swap and trade your gently used items. You wouldn’t believe what people think is trash! I’ve gotten some great things! I got a DRILL one month! Now I can put holes in thick Cork that won’t fit in a Crop-o-Dile! I like the feel of oriental art. There is something that sooths and excites me when I see something with an oriental theme. I am partial to Rubber Stamp Madness. I love scenic cards. 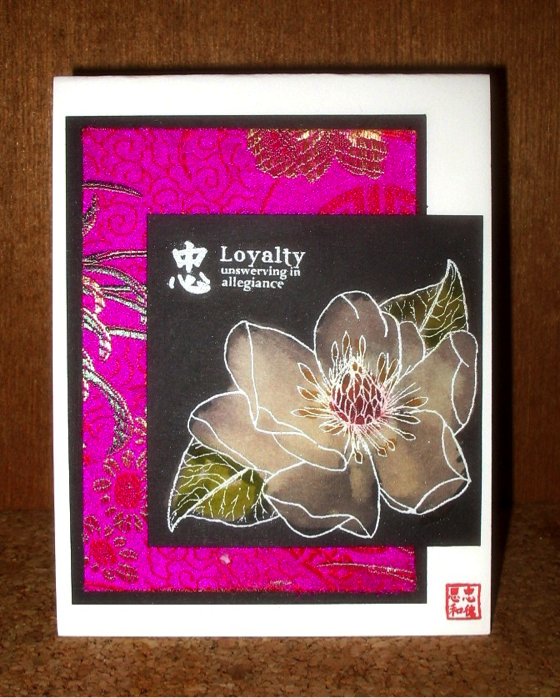 I don’t make many, but I sure like to look at cards other stampers have made! Yeah, right! Hee hee. Nope, never been published. I love to save money. I also like to knit. I like to walk my dog. We go different places every day. You don’t know what you will find that will inspire you. Just today I saw a man with an odd color combo and thought, “hmmm… that could work for a card! I go to MFPSpeedyTV.ning.com to get ideas for stamping. I also go to Rubber Stamp Madness’s website. I am a widow. I moved to Florida a few months ago to be near my daughter and grandchildren. I live in a guest house that I built on my daughter and her husband’s property. I bought the property, put up a fence and put in a pool. Now it’s mine and I can do what I please. I have a nice size craft room and spend most afternoons and early evenings doing crafts. •Adhesive to stick layers together. 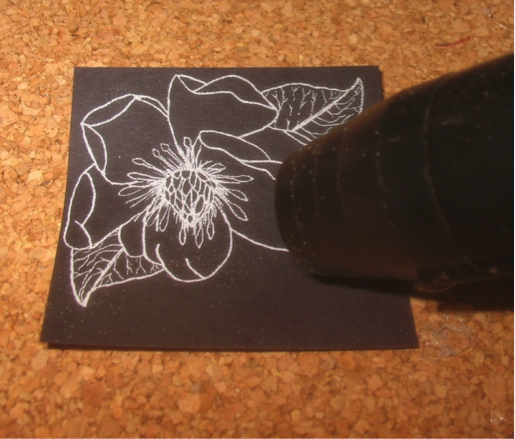 You will stamp on the 3 ¼” x 3 ¼” black square. 1. 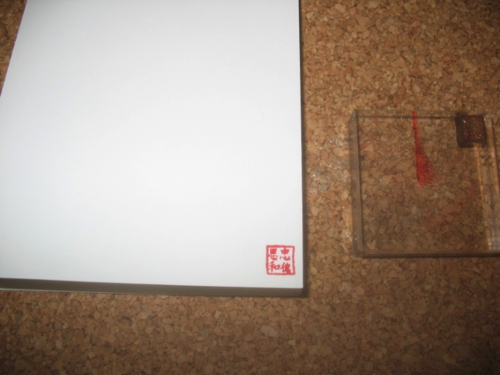 Mount the image on the acrylic block. 2. 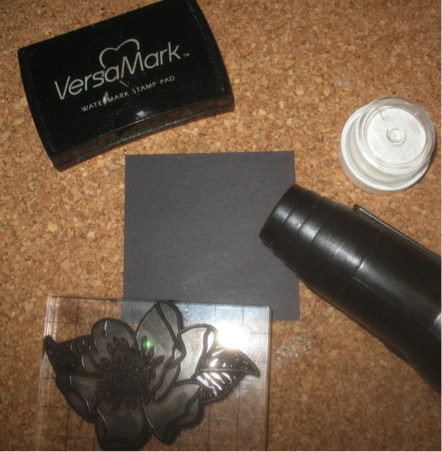 Ink with Versa Mark. 3. 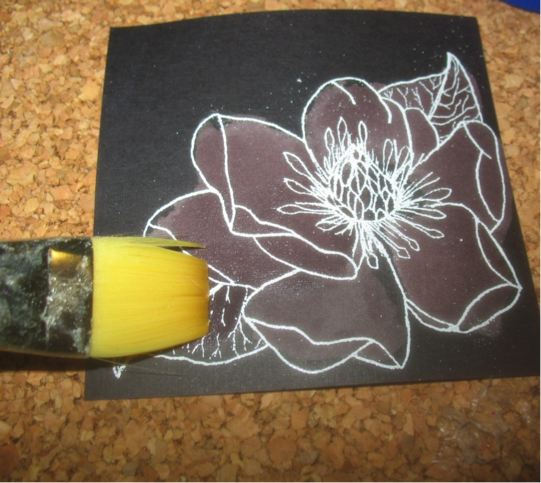 Stamp image into corner of the card stock. 4. 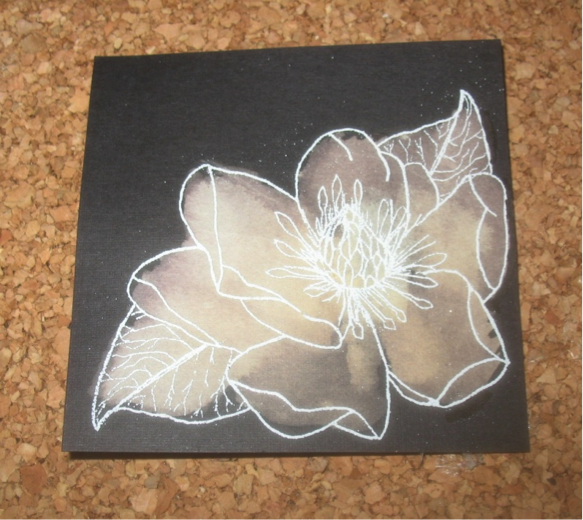 Cover inked black card stock with the white embossing powder. 5. 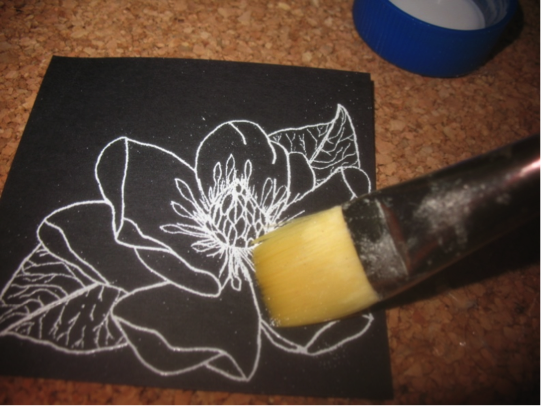 Gently tap the excess embossing powder from the card stock. Put excess into the container. 6. Heat emboss with Heat tool. 9. 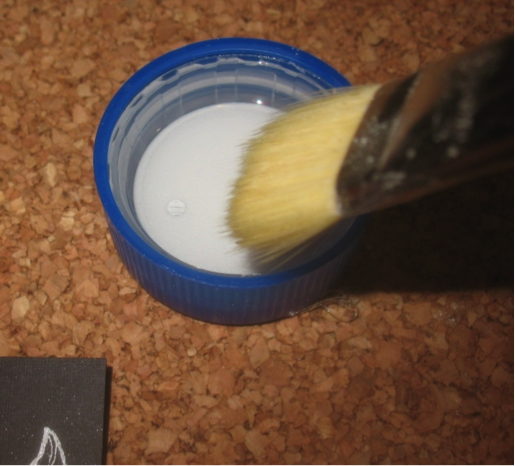 Dip the tips of the paint brush into the bleach. of the image area. Work quickly. 11. 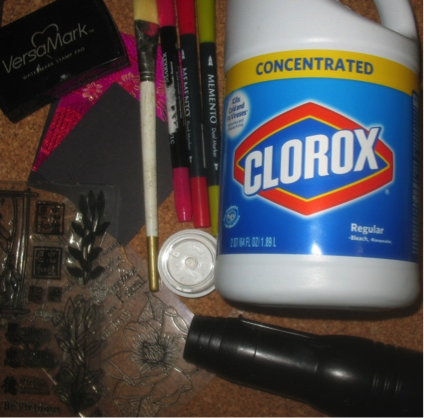 You can leave some areas inside the image untouched by the bleach. 12. Let image dry. You can use a heat tool to speed up the process. 14. This variance in color gives the image depth. 15. Color in the image. 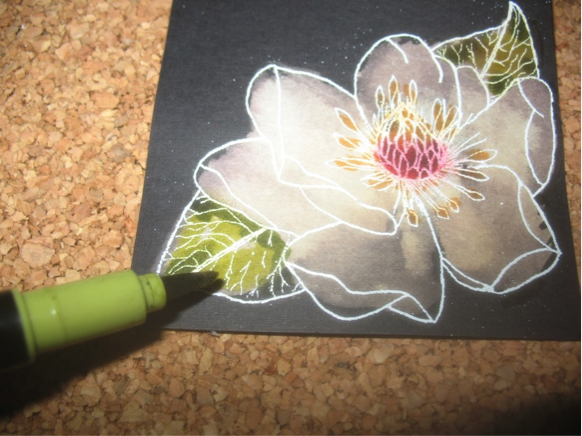 I use yellow for the inside of flowers. I add in pinks and reds to give the image depth. 16. For leaves I use lime and dark green as shadow. 17. I used the sentiment from Be Virtuous on this card. Ink image in VersaMark. 18. Cover stamped sentiment in white embossing powder. 19. 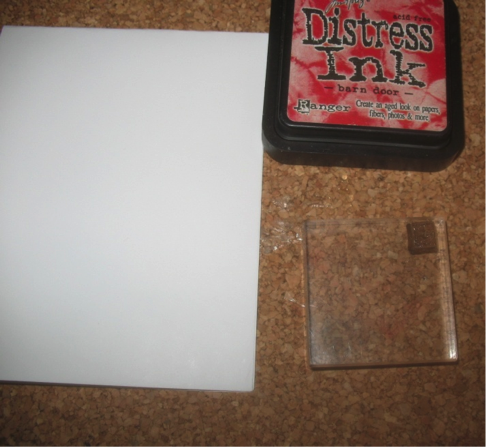 Gently tap off excess embossing powder and return it to the container. 20. Heat emboss the sentiment with Heat too. 21. Now you will move to the base of the card. 22. 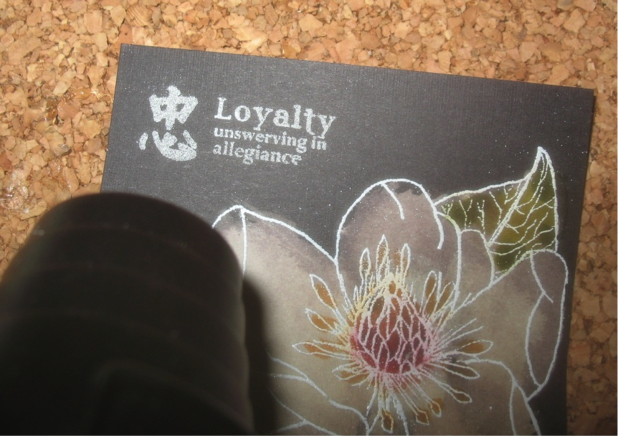 I inked the small chop from Be Virtuous ink red and stamped it in the bottom right corner of the card base. Congratulations on being selected for this honor. Great sample project for you month of fame. Glad to see another Floridian getting this recognition. Congratulations! Love your project and reading your bio…always fun to learn more about our OSA stampers! Enjoy your month in the limelight!! More Congratulations!! 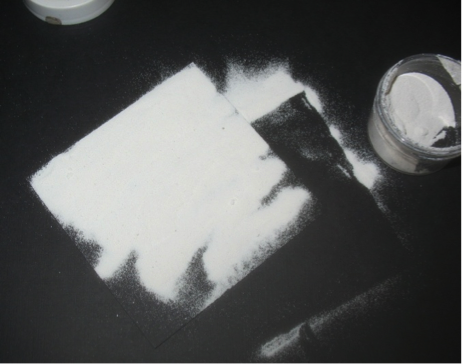 Great project – will go check out the black paper at that website…paper here, won’t bleach! Enjoy YOUR month, and thanks for sharing!! Congratulations…enjoy your month! Your project is GORGEOUS!!!! You are in a great place…look forward to seeing more of your work! Do you have a blog??? 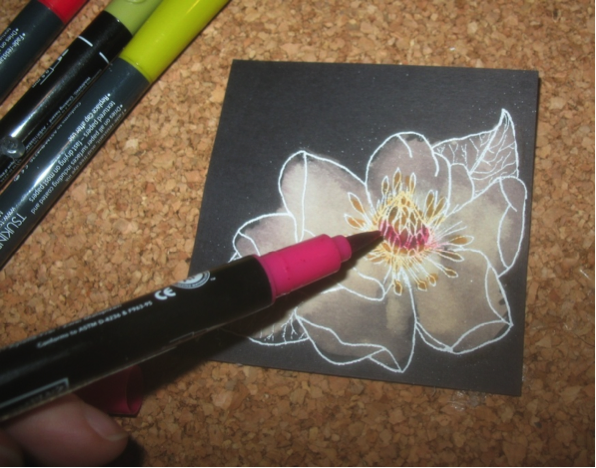 Beautifully done technique- so pretty, and how wonderfully it makes the flower pop right off the page! Congrats on the honor of SAM!!! Congrats Thrifty!!! Enjoy your month as SAM! !